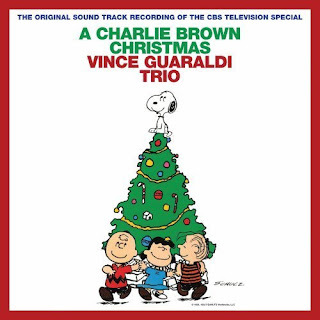 If you’ve had the unfortunate experience of never owning a copy of Vince Guaraldi Trio’s soundtrack to A Charlie Brown Christmas, I’m not exactly sure that you’ve ever truly celebrated Christmas to its full potential. But fear not, because this could be your year to remedy any previous yuletide infractions. Even if you do have a well-worn copy in your collection, there’s good reason to pick up this year’s brand new remastered and expanded edition from Fantasy Records. Regarding the audio quality, this reissue returns to the mix and edits from the original 1965 stereo masters and enhances the crispness and separation of each instruments’ dazzling interplay. Each piano tinkle, snare brush and bass run sounds as if you are sitting right next the band as they recorded this holiday masterpiece. Even the space in the recording studio feels likes its own instrument as each melodic line and rhythmic bounce floats effortlessly through the sonic atmosphere. Need proof? Look no further than 37 seconds into the album as Jerry Granelli and Fred Marshall drop the beat for “O Tannenbaum.” Ah yes, Christmas time is here indeed. All 11 tracks from the original LP are represented here and it doesn’t take more than a few bars to hear why this album has both sentimental and historical significance. Not only has it soundtracked many a Christmas season for a variety of generations since its release in the winter of 1965, but it’s largely credited with bringing jazz music into the mainstream consciousness. (In fact, just earlier this year A Charlie Brown Christmas was added to the National Recording Registry run by the Library of Congress.) “What Child is This,” “Christmas Time is Here,” “Skating,” “The Christmas Song” and the rest of the tracks continue to do their best to put you in a merry mood and with this year’s reissue, they even get a little extra help in their endeavors. Added to the original 11 songs are three more tracks not found on the album’s first release. The first of the bonus tracks is the traditional “Greensleeves,” first added to this collection for its initial run on CD in 1988. While it was recorded with a different bass player and drummer, Monty Budwig and Colin Bailey respectively, the sound of the trio and the spirit of the recording find it perfectly fitting for this release. The other two bonus tracks, while not exactly Christmas tunes, are still appropriately holiday-flavored and Peanuts-themed. “The Great Pumpkin Waltz” from 1966’s It’s The Great Pumpkin, Charlie Brown and “Thanksgiving Theme” from 1973’s A Charlie Brown Thanksgiving both appear on the end of the album. Whether you pick it up for the audio enhancements, the bonus tracks or just to finally have it to listen to whenever you want, I highly recommend grabbing this year’s remastered and expanded edition of A Charlie Brown Christmas.